After several project boats, Dan Powers found the fixer-upper of his dreams—and after lots of work, he now cruises Lake Travis with pride. 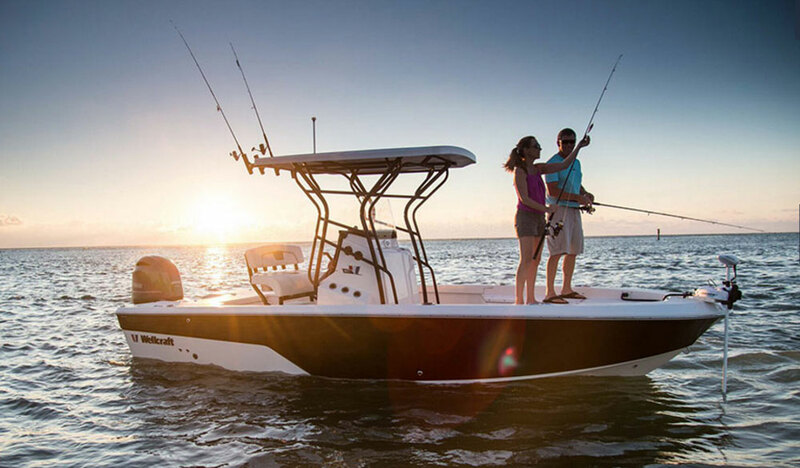 People buy boats for lots of reasons: fishing, cruising, water sports. Dan Powers seems to enjoy taking them apart and putting them back together. Over the years, the 43-year-old, Austin, Texas, video and film director and editor has undertaken major restorations of all kinds of vessels, from an 18-foot sportboat to a houseboat. Blame it on his nautical upbringing. The Wellcraft 43 Portofino's nearly 15 foot beam makes for a spacious main saloon. As an adult, Powers has gone through a 1977 Glastron Carlson CVX18 (“Rebuilt the floor with marine-grade ply and fiberglassed it”), a 46-foot 1971 Chris-Craft Aqua houseboat (“in all-original condition — a massive project that took me one year”), and a 33-foot 1977 Bayliner Explorer Flybridge Sedan (“What a mess. I pretty much did a full cosmetic restoration.”). His biggest project was his latest one, and it produced a “keeper.” Powers put his talents to work turning a 1987 Wellcraft 43 Portofino express cruiser from a $50,000 used boat into a contemporary cruiser. When he bought the boat three years ago he knew the somewhat-neglected vessel would need considerable work. “When I got it, nearly every system had some level of deterioration, and the gelcoat had badly faded,” Powers says. 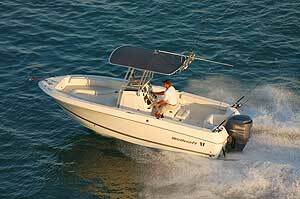 However, the boat was mechanically sound, with all maintenance records on its twin 340-hp gas MerCruiser 454s. The Portofino’s hull was in good shape, too. “Only one or two blisters — and about 18 years’ worth of built-up old bottom paint,” Powers says. Old chrome parts were rechromed, metal parts polished, props repitched, rubrails replaced, windshields redone and their frames powder-coated. 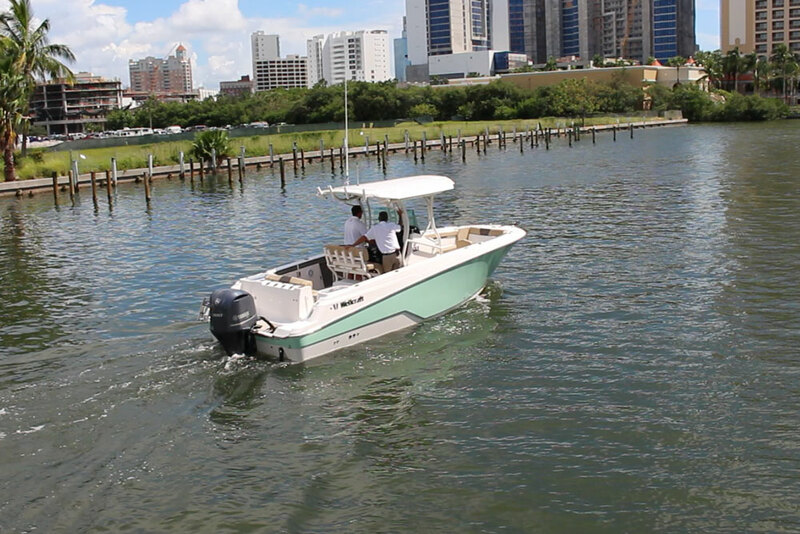 Powers also added new cockpit upholstery, helm switches, electronics and a Bimini top. Below the waterline, the old bottom paint was blasted away, and replaced by three coats of epoxy primer, after hours of prep work. That part of the project alone took three months. “Holy smoke, what a job,” Powers sums up. The hull got a couple of coats of white, two-part urethane enamel. The Wellcraft 43 Portofino is an all-fiberglass express cruiser that rides a planing hull (14 degrees of deadrise) characterized by an ample14-foot, 6-inch beam that’s carried well aft. 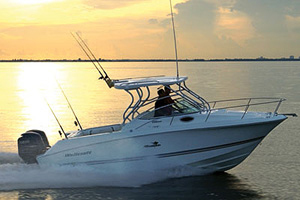 That, along with its high sides, gives the boat enough room for both one- and two-cabin layouts —both with a full head that includes a stall shower— and a roomy, versatile bilevel cockpit. In both versions, the master cabin is forward, with shelf space and two hanging lockers. The enclosed head compartment is adjacent and to port. In the single-stateroom layout the galley/dinette area in the saloon is to starboard, abaft the cabin. With the two-stateroom version, the second cabin is placed to starboard, between the forward stateroom and the galley/dinette. Both layouts include a couch that converts to a berth. The full galley is equipped with a two-burner stove, refrigerator, and shelf and counter space for storage and additional galley equipment. On deck, the steering station is to starboard on the bridge deck, with a large L-shaped lounge to port. There’s also room for a mini galley abaft the helm. 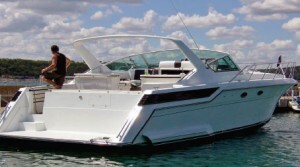 The cockpit, down two steps, opens through a transom door to an integral swim platform/sportdeck. The twin engines are accessible below the bridge deck. 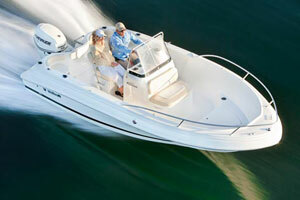 Standard power is twin 340-hp gas engines for a cruise speed of 18 mph. 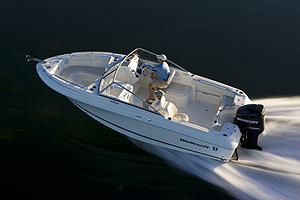 Optional 375-hp diesels give a cruise speed of 22 to 24 mph. 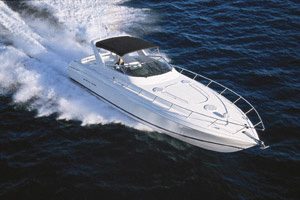 Models from throughout the Wellcraft 43 Portofino’s 10-year production run (1987 to ’97) are readily available on the used-boat market, with prices starting in the middle of the five-figure range. A one-owner, “well-maintained” 1987Portofino in Michigan was listed at $69,999, powered by twin 330-hp gas engines and with a new 9-kW generator to power air conditioning, radar, GPS, autopilot and VHF. Additions included a camper canvas package, cockpit carpet and a wet bar. In California, a 1989 model with twin 350-hp gas power plants was selling for $79,000, with “recently serviced” engines (1,150 hours), a cockpit bar with icemaker, new teak table, two televisions, two stereos and a new microwave oven. 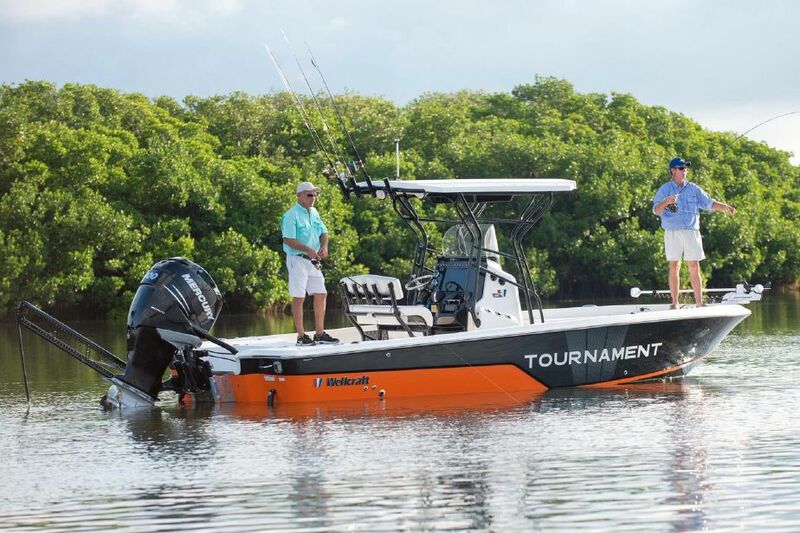 Electronics included GPS, fishfinder and depth sounder. In Michigan, a 1995 model that “has it all” was listed at $185,900, with a 6-kW generator, air conditioning, side-by-side refrigerator/freezer, and an inflatable dinghy with a 15-hp outboard on a hydraulic transom lift. A 1996 freshwater Portofino, stored in a covered slip and with a new interior and a pair of200-hp diesels (with 200 hours), was selling for $129,900 in Georgia. Steve Knauth is a contributing writer for Soundings Magazine. This article originally appeared in the March 2008 issue.